This concert of American favorites brings together the works of Cristina Spinei, Aaron Copland and Philip Glass. It marks the first full line-up of American composers in the GCO’s history, featuring clarinetist Boris Allakhverdyan of the Los Angeles Philharmonic. 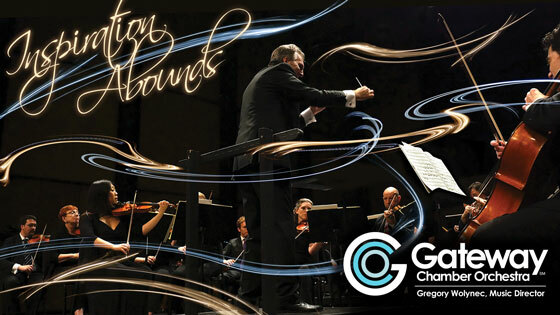 Masterworks Concert #1 of Gateway Chamber Orchestra's 2018-2019 season, Inspiration Abounds.